"The best sugaring paste in the USA"
Feel bright with Brazilian bikini! Need a bulk? No problem! and also for usage at home. the best sugaring paste you can find on the beauty market. If you would like to order more than 96 items, please contact us. Special Offer for Private Labeling. You will receive jars WITHOUT labels (as you see in the picture). No professional licenses required! Fit our small warmers! FedEx Ground / Home Delivery - approximately 5-9 days for order processing. Plastic container with a screw cap. 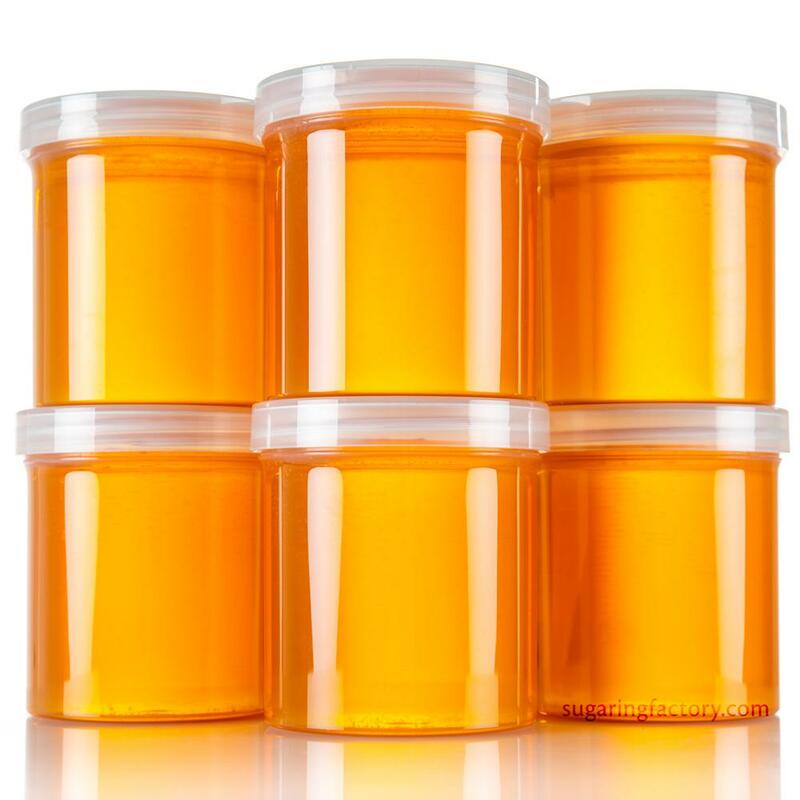 This type of container has a screw cap with an inner membrane that ensures easy opening, even if the container is upside down. The screw cap allows closing the container tightly when being opened and closed multiple times as well as repeatedly transported. Like these containers, a lot and recommend them for display, exhibitions and so one. Ingredients: Natural Sugar, Organic Citric Acid, Purified Water. CONTRAINDICATIONS: 1. Idiosyncrasy 2. Diabetes 3. Any skin damage, puss and inflammatory skin diseases, grazes, open wounds 4. Cancer.